The Journal Diaries is a blog segment where we get a sneak peek into the journals, notebooks, organizers, and diaries from people all over the world. Click here for past posts. My special guest today is Madi from California, and she'll be showing us her nature drawings and pages within that journal. Hey guys! I'm Madi Elizabeth. I've been blessed to be a Seaweed Kisses reader for the last few months. Being new to the blogging world, Michelle's posts always inspire and encourage me- organization and sweet simplicity. Today I'm going to share one of my favorite hobbies...my nature journal. It's inspired from Clare Walkers's book Keeping a Nature Journal and Barry Stebbing's book Nature Drawing and Journaling. 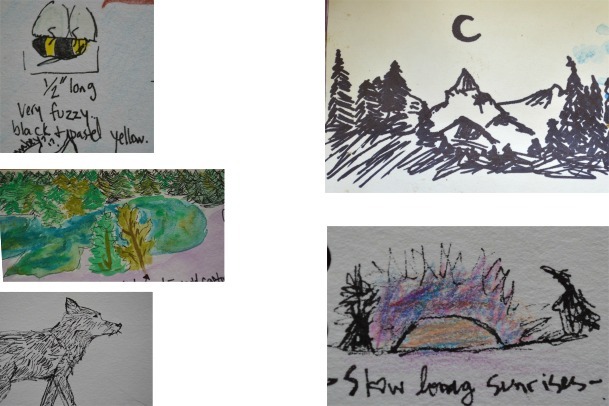 A nature journal is simply a journal devoted to nature. By recording the weather, season changes, new blooms, and old growth, I am able to observe and explore my land in a rich fullness. I begin this journal in April 2013. I use a Nature Sketch book. Love the heavyweight drawing paper! Heavyweight paper is a BIG plus it absorbs my splashes of watercolor. 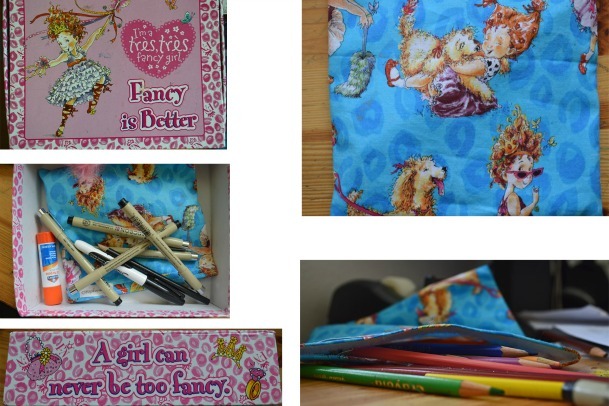 I store my tools and journal in this "Fancy Nancy" box. As a girl, can never be too fancy! Also, I keep a wide assortment of colored pencils and micron drawing pens in my box. Some things I'm sure to record on every page: the time, date, approximate temperature, location, and sunrise & sunset time. Often I take a stroll, sit on a bench, or go on a bike ride. Carefully noting sights, stopping to bend down, inspecting and collecting, I meander around taking quick notes. Not always do I bring my journal on my excursions...especially on cold days! Sometimes I take a quick zip outside and gather some seeds, twigs, or leaves to draw and observe indoors. Nature Journaling can be done anywhere nature can be observed. It can be one line, a whole page, or just a picture and a caption. Don't worry about spelling or drawing skills, there are no mistakes in art! Blessing me with smiles and fond memories, I have enjoyed my nature journaling for the creative outlet it has been for me. I encourage you, dear reader, to be still and "Take note of the unnoticed moments." Thank you so much for sharing your very beautiful nature journal with us, Madie! And for all you wonderful readers looking to connect, you can find Madi on her blog here. OMG! It is sensational. You describe the weather in such a precise way and create great images. I have not seen anything like it yet so I'm delighted and full of admiration for you.